For those who want more than a vacation. 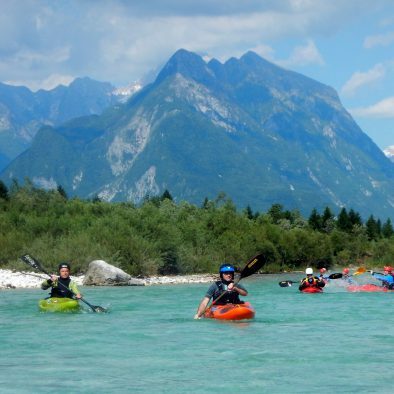 We let YOU be the creator of your dream multi-activity outdoor holidays in Bovec and Soča Valley. There's a wide range of activities and accommodation you can choose from for guaranteed fun and adventure in the sun with family, friends or business partners. Enjoy nature & be amazed by stunning Slovenian scenery. Experience more with our multi-day packages. 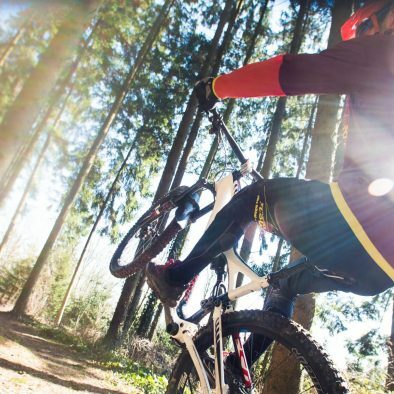 1 full-day, 1-half-day guided MTB tour in Soča Valley & 1 night stay in Bovec. 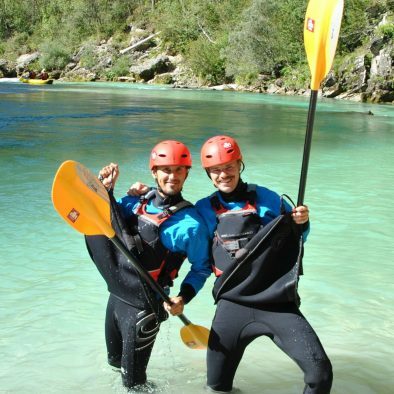 Kayak, half-day MTB, rafting, zipline/ canyoning & 2 night stay in Bovec. Family friendly. 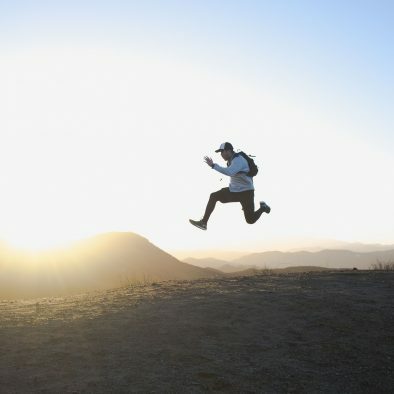 Let us know what kind of activities YOU want to try & we'll make a package tailored to your wishes. The price depends on number of guests, child’s age & booking date. Two people minimum need for each deal. Tourist tax for accommodation is not included. Some activities require a minimum age. Prices are subject to change. For activities of DK SPORT, we will issue a billing. For other activities and accommodation offers, you’ll be billed by the providers. We specialize in facilitating large groups and special events, including ladies only adventure camps, kayak & MTB clinics and corporate business events. Girls power! It's time to put on your schedule a WOW - a Women Outdoor Weekend event. Don' miss out our MTB or KAYAK adventure retreat camps designed for women. Our intention is bringing women together to have fun within a conducive learning environment, do yoga, get a massage & relax in the stunning Slovenian outdoors. 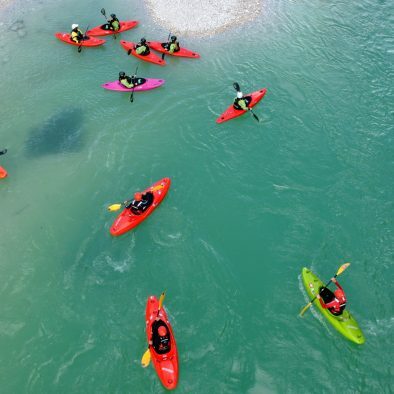 Join our 2-day kayaking course and stay in one of Bovec top apartments, vacation homes or hotels. More days option available. Come riding the best MTB trails of Soča Valley with us and we'll take care for your accommodation. Your employees can't be just coworkers, they need to be team players. 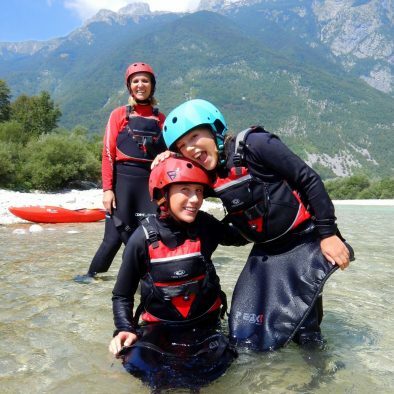 Bovec provides an excellent environment where your team can learn to really work together through a whole host of activities. Experience more than just a vacation in Slovenia. Get to know our country better with the people, places and things that make it worth exploring. Come and get it. We are here to help you discover it!